Daniel O'Donnell is Chief Executive Officer of Dechert and a member of the firm's Policy Committee. He is a nationally recognized advisor to private equity fund sponsors, corporations, and financial institutions as well as company managements, boards of directors, and special committees. He represents clients on public and private mergers and acquisitions — both domestically and internationally — as well as corporate restructurings and corporate governance matters. Dr. Francisco González de Cossío focuses his practice on international arbitration, antitrust, and corporate law. He is an expert in arbitration. His main activity is acting as arbitrator in all kinds of cases, particularly in complex ones. Areas of particular specialty are construction and energy. He also acts as advocate and expert. 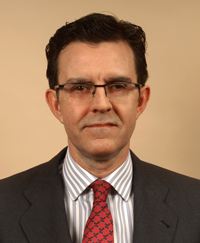 González de Cossío is Director, Treasurer and former Chair of the Arbitration Committee of the Mexican Bar Association, as well as its Law and Economics Working Group, President of the Antitrust Commission and active member of the Arbitration Commission of the Mexican Chapter of the International Chamber of Commerce, among other activities. 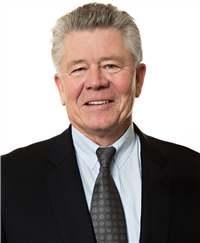 Robert "Buzz" Trafford concentrates his practice in the area of complex business litigation, at both the trial and appellate levels, including securities fraud, director and officer liability and other corporate governance matters, attorney and accountant liability, trade secrets and consumer class actions. In addition to his litigation practice, Buzz served as the firm's Managing Partner from 1996 to 2014. 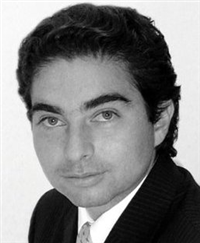 Gómez-Acebo & Pombo Abogados S. L. P.
He was Managing Partner of Gómez-Acebo & Pombo Abogados from 1998 to 2000 and is currently a member of the firm's Management Committee. He is Head of the firm's Corporate Practice and is a specialist in Banking Law, Securities Market Law, Collective Investment Institutions, Mergers and Acquisitions, and Family and Private Equity Businesses.